Enter the Magical World of Lola Goreng in "Daig Kayo Ng Lola Ko"
GMA-7, the leading TV network best known in creating remarkable fantaseryes once more gave us another must-see fantasy series. 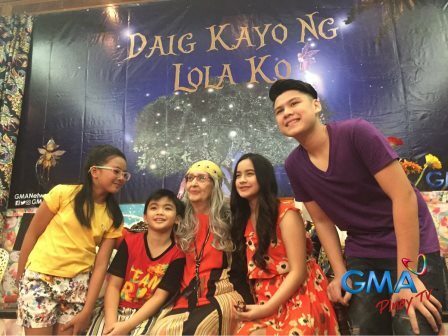 This is "Daig Kayo Ng Lola Ko" which premiered just Sunday, April 30, 2017 right after "Hay Buhay" replacing "Tsuperhero"
In the story, Lola Goreng has three grand children namely Elvis Espino (David Remo) her youngest grandson and the most playful; Alice Espino (Jillian Ward), her sweet, loving, and kind grand daughter keeping her family intact; and Moira Villavicencio (Chlaui Malayao), their adopted orphan. The Espino Family were all fairies. They were keeping a mysterious secret that will be revealed sooner in the story. The 'Fairy Tale' Cast of "Daig Kayo Ng Lola Ko"
Watching the pilot episode of the series, it brings me back to my childhood days who love to watch fairy tales. 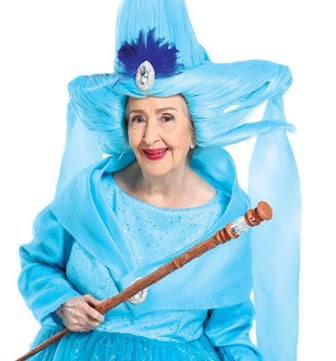 Yes, the show is inspired to the fairy tales we used to love before. And most of the scenes were animated or cartonized. The human actors were interacting to the cartoons. Therefore the show is perfect or highly recommended to kids. They will entertain and will learn lessons at the same time! And what more good about this show? Well every episode, new story! Lola Goreng will share different story every week to her children. The pilot episode was lead by the Primetime Queen Ms. Marian Rivera playing Gracia, the taong-grasa! Are you excited to know what happen to Gracia's story?! Well, catch its continuation this Sunday and get ready to know the story of Lola Goreng as she unfolds it to her grandchildren.